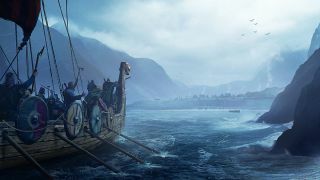 Logic Artists has announced that Expeditions: Vikings, the second game in the strategy-RPG series, is now in development. Players inherit the leadership of a Viking clan in the late 700s, and must set about doing a better job of expanding its power and influence than dear ol' daddy, who's just caught the red-eye to Valhalla. Expeditions: Vikings will expand upon the gameplay in Conquistadors, with things like an upgradeable home village, overland travel and combat integrated into the same layer, smooth transitions from exploration to turn-based combat encounters, and visible representations of the player-character in all parts of the game. "We are very excited to return to our roots in the RPG genre, and as developers from the Nordic region, to make a game in a setting that is a lot closer to home than anything we've done before," Logic Artists Creative Director Jonas Wæver said. "We're improving on the Conquistador formula with deeper and more dynamic systems for character progression, combat abilities, role-playing, choice and consequence, and expanding on our favorite part of Conquistador: camping and wilderness survival." It's clear that Expeditions: Vikings is aimed at a fairly niche audience, but its predecessor, Conquistadors, holds a very respectable Metacritic rating of 77, and the user ratings on Steam are quite positive too. There's no word of a release date yet, nor is there a proper website, but for now you can keep up to speed with happenings via the Expeditions Facebook page.